The UK leg of the Formation Tour has started with a bang and what better place to start than the North East of England! Like most girls born in the late 80’s and 90’s Beyoncé is my idol and when I managed to get Gold Circle 1 tickets I squealed, jumped and cartwheeled with excitement. On Monday night I could barely sleep and jumped out of bed on Tuesday morning to panic buy a rain appropriate outfit. Yes, unfortunately in true North East style it was bucketing down with no signs of clearing up. After an hour of unsuccessful shopping I decided I would just own the rain, get wet and flick my hair around “Drunk In Love” style. I wore some mega ripped Mom Jeans with a white crop, white Chuck Taylor’s and a silk bomber. I felt like I could of been in the background of one of the Grown Woman flashbacks! I was heading to Bey with 4 of my best friends which is the only way to go! People scrambled for the plastic poncho’s but we marched through the crowd’s in the brightly coloured sunglasses that were being given out to the crowds, not letting anything rain on our parade. As we walked in we were handed goodie bags filled with a poncho, towel and sunglasses. We were then given VIP badges making us feel like Beyoncé herself. It was an emotional rollercoaster, I’m not sure if that is because of the moving heartfelt lyrics of Lemonade or the atmosphere in the Golden Circle but as she belted out Freedom me and my Bestest belted it out too with tears streaming down our face. She closed with Halo turning everyone into emotional wrecks, even me, which I still cannot believe as I’m known as an Ice Queen (emotion isn’t really my thing). Beyoncé’s powerful presence clearly had an effect on me. If you are going to a one of the Formation Tour dates, you are in for the best concert of your life. The staging, 36 song set list, dancers and overall show was phenomenal but for someone to sing, dance and perform like that all at once, (without breaking a sweat) is beyond amazing and something to be admired. All Hail Queen B!!!!! I have loved planning my outfits for New York but have enjoyed scrapping my plans and throwing together things at the last minute more. These looks were the result of ditching my plans and experimenting with the two cases full of clothes I brought with me to New York. Never be afraid to experiment! Tribeca Lunch Date – Tribeca is a super cool, trendy area of New York and home to Queen B herself. It’s like Soho but more residential with boutique style shops and Cafe’s rather than the big chain names. Drinks in the Meatpacking District – The Meatpacking District is a really cool area with secret cellar bars and roof top terraces, no need to get dressed up too much, everything goes! Sunny Day in Long Island City – Long Island City is a really cool place with amazing places to eat and the best views of Manhattan! This week my favourite Make Up look was this glam, 40’s feel look I wore on Saturday night. Red lips and a serious eyeliner flick is always creates a dramatic, glam look, perfect for a Saturday night out with the girls! All the products I used are listed below and I recommend every single one. The NYX Eyeliner Mousse in Epic Black is my new favourite product, so easy to use, creates a dramatic deep black line and at only £9 from Boots I think its a bargain! In Spring I love peach, peach nails, shoes, accessories but mainly peach make up. This peach look is perfect for sunny days and long summer nights. I love H&M’s new make-up range, its great quality for an even better price. Their Lip Liners are the best I have ever used and the lipsticks are great too. I bought most of my Anastasia Beverly Hills goodies in the states but if you are after them in the UK try https://www.cultbeauty.co.uk. I’ve ordered some ABH items from them and I’m never disappointed. This is my first ever blog post, wish me luck! So a little about me, I’m Charlotte, 26 from Newcastle. 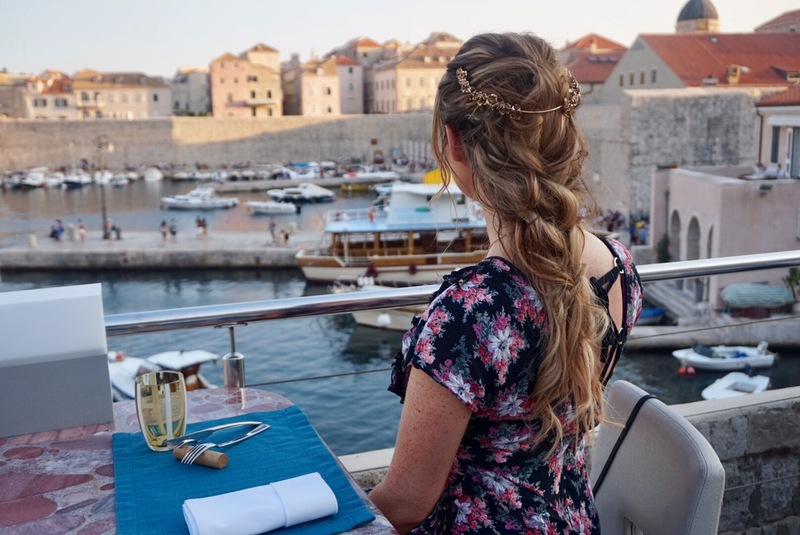 Like most girls I love style, beauty and travelling and I’m lucky enough to travel some of the most amazing places and I work in fashion so thought why not write about it. My job is buying Handbag’s (pretty cool I know), I buy designer handbags in all shapes and sizes which are all available to buy at Handbag Clinic. Handbag Clinic is a company started by my husband after he had amazing success with Furniture Clinic. In short we buy, sell and restore handbags. I will definitely will be doing a post on this as its such an interesting concept and of course a huge part of my life. Outside of work I’m huge on fashion, the only thing I love more than finding the perfect outfit is planning the perfect outfit and of course, hair and make up to go with it. Handbags are my first true love, I have always been crazy about them. When I was 16 I used to save everything I had to go buy a DKNY handbag from House of Fraser and have been obsessed with bags ever since. So if you like handbags you’re in the right place! The only thing that I’d rather do than shop for handbags is travel! If you get the opportunity to go any where in the world and I mean ANYWHERE, go see it, experience it. You wont regret it. I’ve been to some places I never would have chosen and fell in love instantly. There is nothing better than those kind of trips!